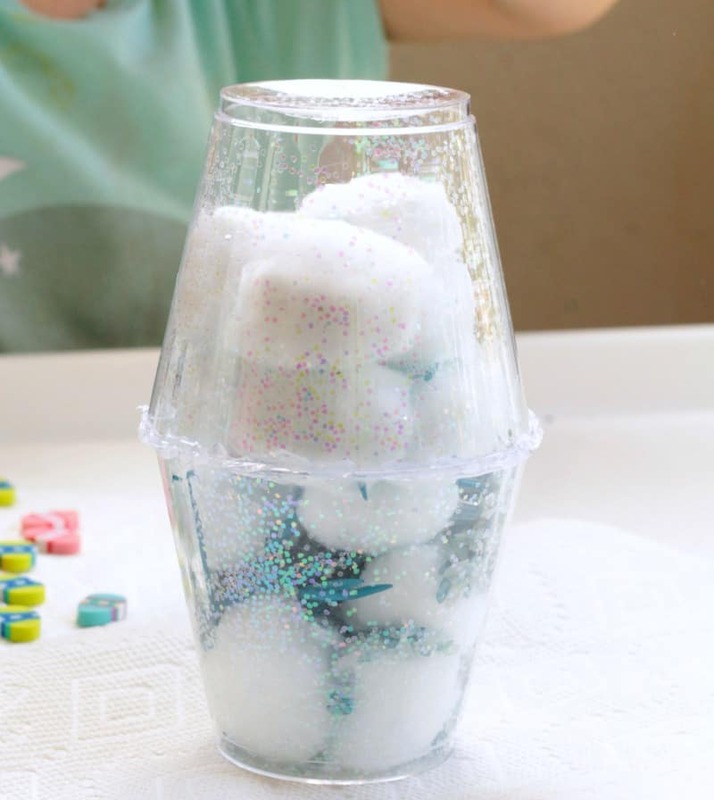 My kids love sensory bottles. They find falling glitter and swirling colors pretty and calming. 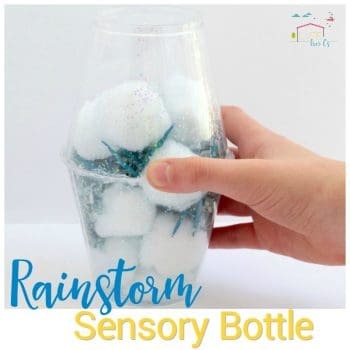 This time, rather than making a liquid-based sensory bottle, which can sometimes get messy if the caps fall off, we decided to make a dry sensory bottle that mimics a rainstorm. 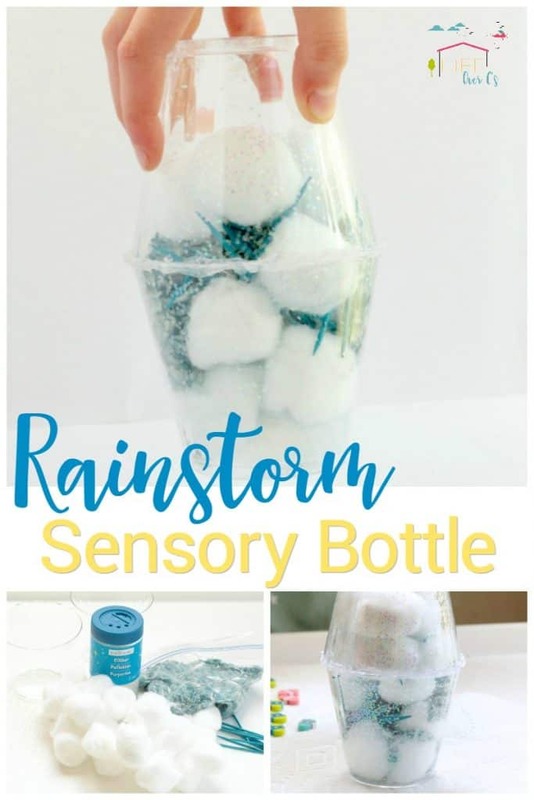 This sensory bottle turned out even better than I had hoped, and the kids had a lot of fun transforming their supplies into a dry rainstorm that really sounded like rain when gently shaken. The rainstorm sensory bottle was a hit! 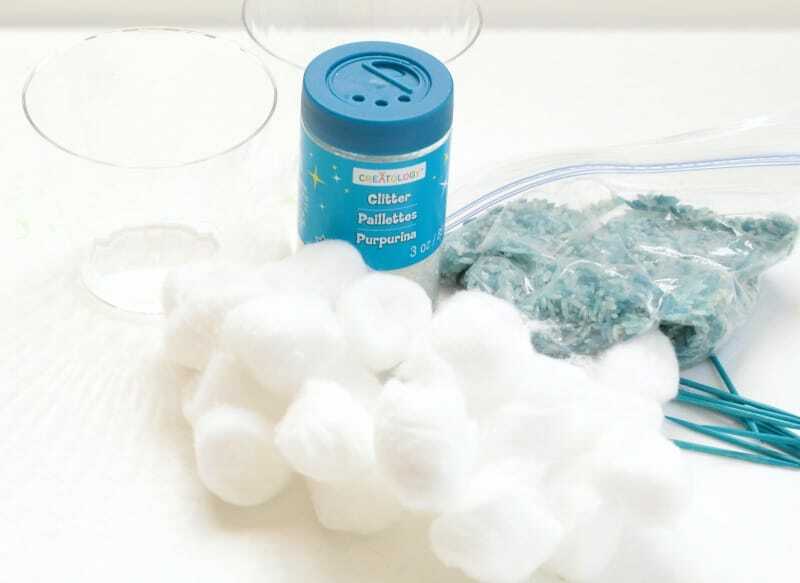 Before starting this activity, dye your rice blue. 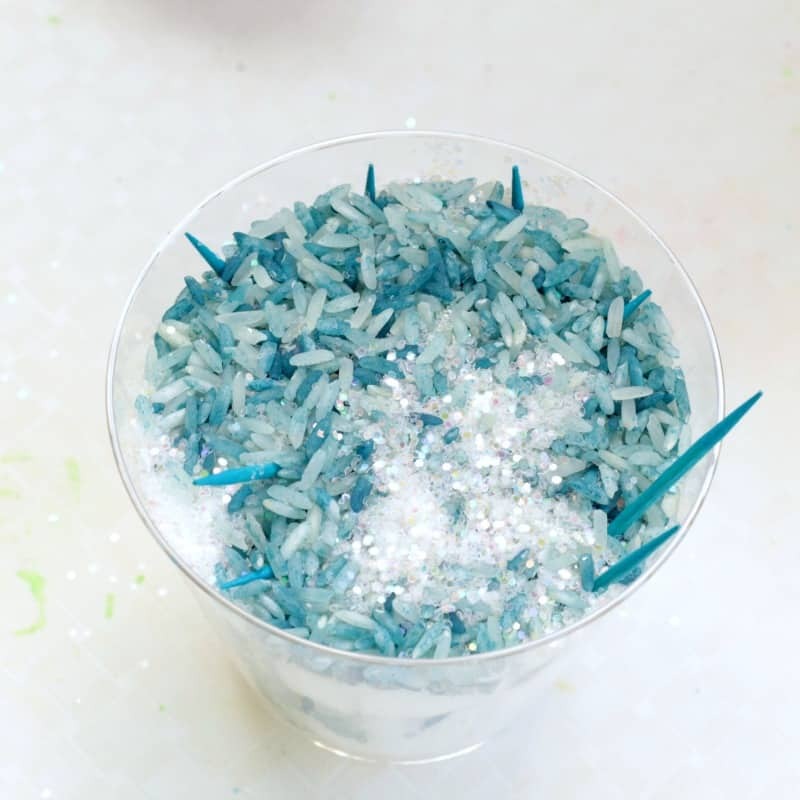 Place about 1/2 a cup of rice in a plastic baggie and add a few drops of blue food coloring. Seal the bag and remove any extra air. Let your kids shake the bag until all the rice turns blue. 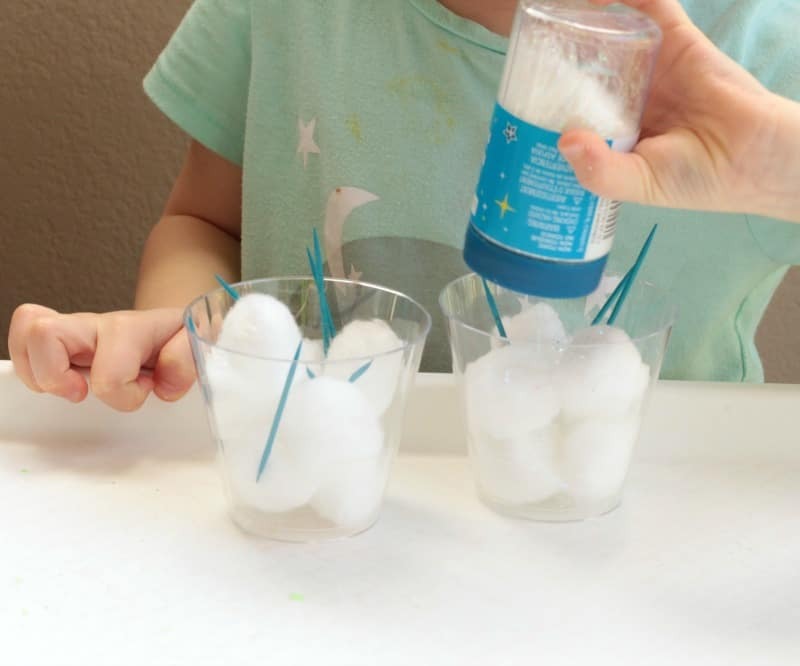 Fill both cups with cotton balls. Pour the rice into one cup and put the toothpicks in the cup as well. 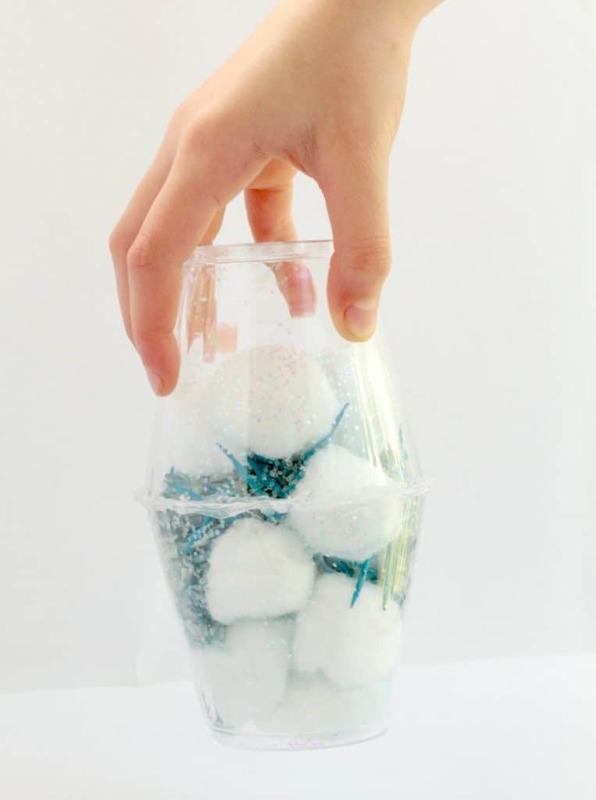 The more toothpicks you add, the more rain-like the sensory bottle will sound when you gently move it around. Add glitter to the rice bottle for extra sparkle. Glue the two cups together along the rim using hot glue. 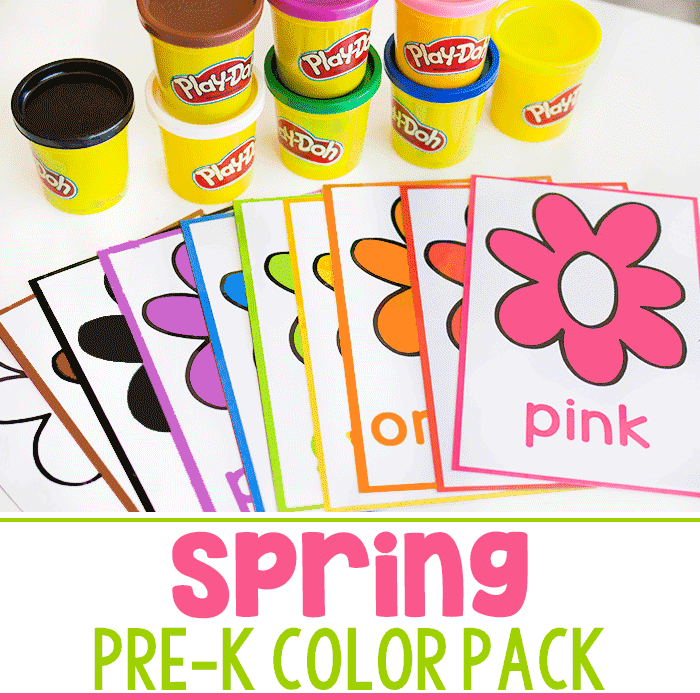 Make sure the seal is perfect so you don’t get glitter everywhere. Once the glue dries, show the kids how to gently turn the bottle upside down and listen to the rain-like sounds it makes. Show your kids how the cotton balls represent clouds, the toothpicks represent lightning, the rice represents rain, and the glitter represents hail or ice. 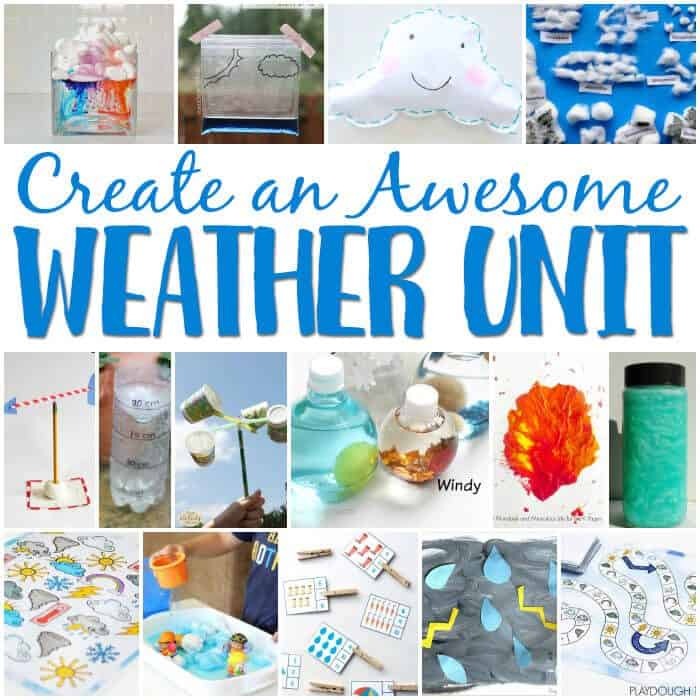 The rainstorm sensory bottle will be a huge hit with most kids and is a fun way to learn about rain during a weather unit study.